Witness of the people, by the people, for the people The left pie chart shows the ratio of all (voted or not) SP. The inner pies show what percentage of SP in each category voted for witnesses, i.e., SP-weighted turnout in each category. As shown in Witness of the people, by the people, for the people, many people do not do witness votes. Actually I've seen many people who do not know even the existence of witness votes. Also there were many people who thought that it can be done only once in some specific period. While not voting at all is also one way of voting, it's quite different if they actually don't know the existence or how to do. Steem is a blockchain with DPoS (Delegated Proof-of-Stake) consensus mechanism. The importance of the witnesses and witness voting cannot be overemphasized. Thus, it'd be much better if there is a periodic reminder of witness votes. Since Hivemind, the default order is chronological. This may be useful (thought some people don't like it in terms of "privacy"), but it's much better if there is a way to order it in a different way, at least alphabetically as before. Currently, it's too difficult to find someone in the lists. While more options would be better, at least there should be a way to sort them in the alphabetical order. This can be a pop-up window such that users have to click something to proceed. The recent warning pop-up for non-posting key login is a good example. In any sense, we shouldn't enforce users to do witness votes (since no voting is always one form of vote). However, at least users should be informed that there is witness votes. So for users who have never voted (nor set proxy), showing pop-up in the above would be very informative and helpful. But there should be a way to sort this at least in the alphabetical order. Many users still don't even know the existence of the witness vote. By introducing the pop-up that can't be skipped without clicking, they can be at least informed. And they may actually participate in the votes. 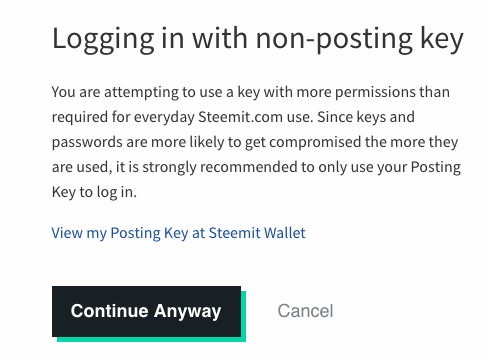 Eventually this will help the decentralization of the Steem. For those who have many followers/following, it's almost impossible to find someone easily.